How do I set up "course ends soon" alerts for students? You can easily configure Buzz courses to automatically alert students when a course is getting close to ending. Students see these alerts in the Activities (Course Home) and Grades tools. 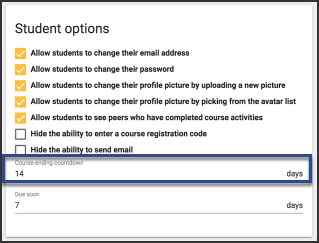 On Student Options card, enter (in days) how long you want the alert to appear for students before the course ends in the Course-ending countdown field. We are using the old UI and do not see that in the User Options. How can we add that? Hey Hieu, it should be their by default. I just verified it in a couple of domains. 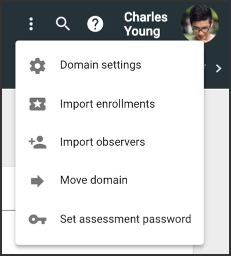 Could you refresh you page and check again in the Domain Settings > User Options > Student Options? Yes, I see it now. Thanks, Brad! How do I move a student enrollment between courses?